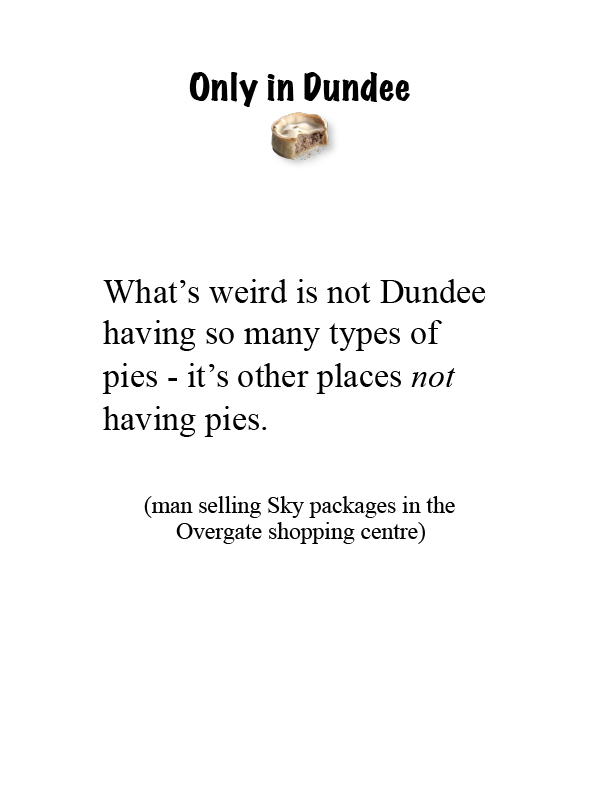 Does Dundee have something to teach Scotland’s bigger, better-known cities about humour, kindness to strangers, walking up steep roads, and pastry? Absolutely, concluded journalist Deedee Cuddihy who travelled to Dundee on multiple occasions to observe Dundonians in their native habitat. 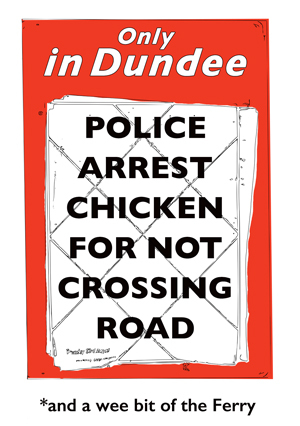 The result is "Only in Dundee" (and a wee bit of the Ferry), a collection of often hilarious, first-hand anecdotes, shoogly photographs and borrowings from the incomparable local press and other media. I haven't worked since I got kicked in the back by a police horse two years ago. I'd just come out of Macdonalds in the town centre and was crossing the street when it happened.